The function of a game can largely depend on how many rounds are included. For instance, games like Mississippi and five-card-stud—which have four or less betting rounds—work well with pot or no-limit play, while games with more rounds work better with fixed or spread limits. In all practicality, betting rounds should be set to higher limits as the game advances. 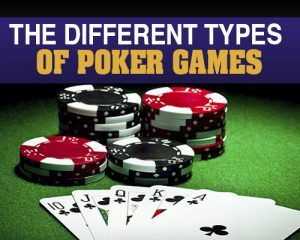 Example: if a game is called $5/$10/$20 seven-card stud, it will allow bets of $5 in the first couple rounds, $10 in later rounds, and $20 in the final round. Even though it’s the first type of poker that most novices learn about, most casinos no longer provide draw poker games. Draw poker continues to be offered at Commerce Casino, where it remains a popular choice among visitors and regulars alike. In games of draw poker, a player is given a number of cards at the beginning and develops his or her hand round-by-round by drawing certain cards. As such, a player will usually trade in anywhere from one to three cards in hopes of getting a better hand. While home games of draw poker typically require an ante, casino games generally use blinds. The game begins with the player seated left of the big blind, and the following rounds start with the player seated left of the dealer. In essence, draw poker is a positional type of game involving as many as eight players. In community card variations of poker, all the players share a set of cards—alternately known as “shared cards,” “window cards,” or “community cards”—that are placed in the middle of the table. Additionally, each player is dealt an incomplete set of “hole cards,” which are then played off the shared cards for a complete hand. The shared cards can be arranged uniquely or in a straight line, and the ways in which they can be combined with hole cards depends on the rules of a given game. The most widely known community card poker game is Texas Hold ‘Em, which dates back to the Roaring Twenties. As with draw poker, community games tend to be played with antes in home settings and with blinds at casinos. Another difference between home and casino settings is that in the home versions, spread-limit games are more prevalent; in casino versions, fixed-limit games tend to dominate. Rarely played variants include no-limit and pot-limit forms of community card poker. With blinds, the betting round starts with the player immediately left of the big blind; otherwise, the betting begins with the player seated left of the dealer. Earlier betting rounds generally have lower limits than later rounds. Lowball hand values tend to play poorly in community card games. However, high-low splits sometimes play well. The community card is central to all variants of this type of poker. In most games, several such cards will be placed on the table for all the players to share, but each game has specific rules regarding which cards are allowed in a player’s hand. Collectively, a set of community cards is generally referred to as a “board.” However, you’ll also find that community card sets can sometimes be referred to as “widows.” Most boards are dealt in a basic line, though some games favor more intricate arrangements. The leading example of community card poker, of course, is Texas Hold ‘Em. This game ends with each player holding two cards while a board of five shared cards sits in the center, for which each player tries his or her best hand. Another principle example of community poker is Omaha Hold ‘Em, in which players are limited to three shared cards, which can be paired with two out of four hole cards in order to make a hand.